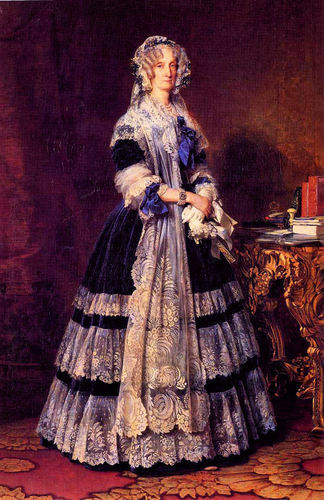 Maria Amalia of the Two Sicilies, Queen of France. Maria Amalia was the wife of King Louis-Philippe of France.. HD Wallpaper and background images in the re e regine club tagged: royalty monarchy queen france. This re e regine photo might contain hoopskirt, crinolina, and crinoline.